Electronic gadgets like Smartphones, tablets, laptops etc., consume more battery as the usage of such devices is quite higher. Due to the rapid usage of these electronic devices, especially laptops running on Windows operating system drains a lot of battery power that eventually diminishes the performance of your device. As we all know, Microsoft as launched the latest version of Windows operating system namely Windows 10 with incredible and amazing features. Many different versions of Operating system like Windows XP, Windows Vista, Windows 7/8/8.1, there comes latest Microsoft’s Windows 10 that has been released recently. The latest Windows 10 operating system comes with the integration of Cortana and Xbox Live, introduced with new web browser Microsoft Edge Browser with face recognition and fingerprint support. For some obscure reason, most versions of Windows 7 and 8 don’t let you set your computer or Laptop into hibernation mode by default. Similar to the Windows 7 and 8 devices, the one feature that is missing on Windows 10 is the Hibernate mode. Windows 10 operating system doesn’t include Hibernate option under its Power menu. Setting your PC into hibernation is usually regarded as the most efficient way to shut it down, both in terms of energy and time. 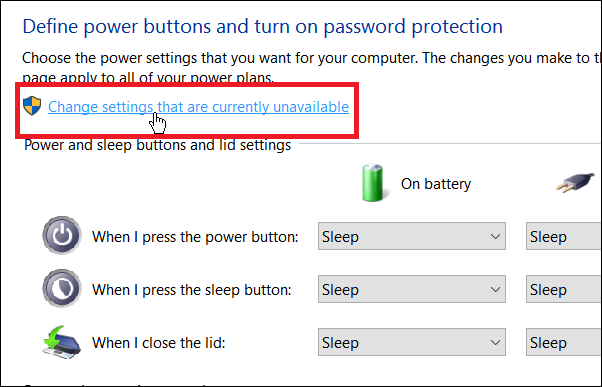 Once you open start menu of Windows 10, you can come across options that include Sleep, Shutdown, Restart but there is no hibernate mode, so how to enable it? Check out the different methods that help enable your Windows 10/8/7 devices into hibernate mode. Take a look! Hibernate Mode is power saving state particularly designed for laptop and it is likely you might not notice it in most of the PCs. Whenever you make your device sleep while keeping all your files and documents open, it consumes low power but hibernate mode takes less power compared to sleep mode and places all your programs and documents on the hard disk to hiberfile with the location C:hiberfil.sys and turns off the system. Hibernate mode aids in saving the battery when you know you will not use a laptop for a prolonged period of time and will also sustain the work in the state where you left it. 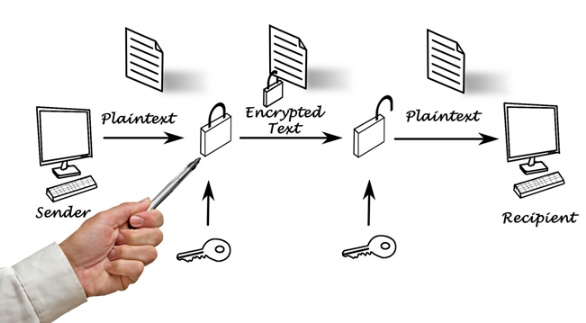 In simple words, it is the state in which system saves the current state of all the documents and shuts itself so that no power gets dissipated. When the system is turned on, it restores all the files and programs in the active state they were before hibernation by restoring them from hiberfile. Usually, sleep or standby mode continuously draws a small amount of power by saving your work session in your RAM, the hibernation mode saves this data onto your hard drive, enabling the PC the power down completely, thus saving your electricity bill as moderate as possible. 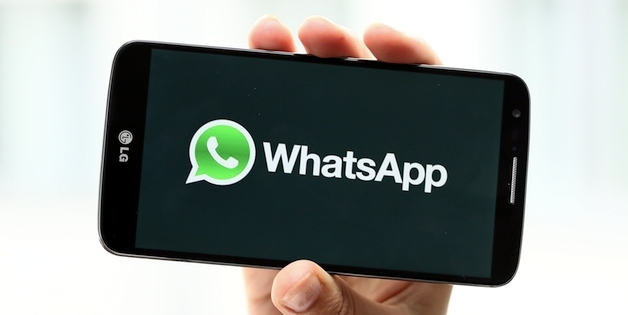 Fortunately, the hibernation mode has never been completely eliminated from the OS – it has just been hidden. If you are up to some Windows tinkering, you can restore the nifty feature somewhat quickly. In most situations, the main offender for the lack of a hibernate button in the power menu is exhibited to be the so-called hybrid sleep mode which is an enhanced version of the normal sleep mode that blends all its typical features with an additional system that copies the content of the RAM onto the hard drive to safeguard it from power interruptions. As long as the hibernate mode is active, Windows appears to regard the hibernation mode irrelevant in spite of its energy-saving advantages, so that it doesn’t even trouble to provide the option for it. To deactivate the hybrid sleep mode and activate the hibernate mode open up your control panel. Navigate along the path Power options >> Change plan settings >> Change advanced power settings >> Sleep >> Allow hybrid sleep. Change the setting from “On” to “Off” close the windows by clicking on OK and you should be all set. Ensure to check your shutdown menu to check whether or not an option for hibernation mode is now available. Hold down the Windows-key + R and type in “cmd” to bring up the command prompt. Enter “powercfg –h on” to force Windows to activate your device to hibernate mode. Likewise in Windows 7, the hibernation mode is normally nowhere to be discovered in the default configuration. Unlike Windows 7 though, it has since been conferred a dedicated option to turn it ON or OFF in the power settings, making the activation process somewhat more convenient. Initially, head on into the control panel and search for the entry “Power options”. Search on the left-hand side for the option “Choose what the power buttons do” and click it. In the next window, activate the option “Change settings that are currently unavailable”, which will probably need you to confirm administrator rights. 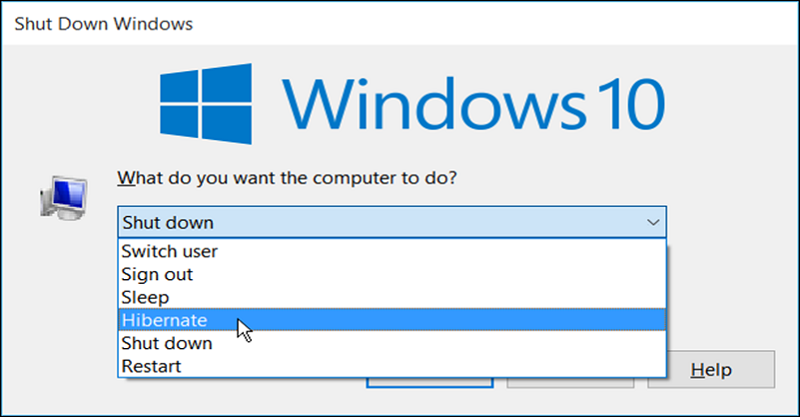 Once the window gets refreshed itself, scroll down to the bottom of the screen to locate various options to turn off your PC correctly aggregated in the “Shutdown settings” section. If the checkbox for “Hibernate” isn’t ticked, change that and click on “Save changes”. There are two different methods to enable or activate the hibernate mode on your Windows 10 device. In order to enable the Hibernate mode in your Windows 10 device, make sure you have logged in as the Administrator so that you’ll have all rights to activate the hibernate mode. Just follow the simple step to enable Hibernate mode. Step 1: Initially, right-click on the Start button and select the Power options. 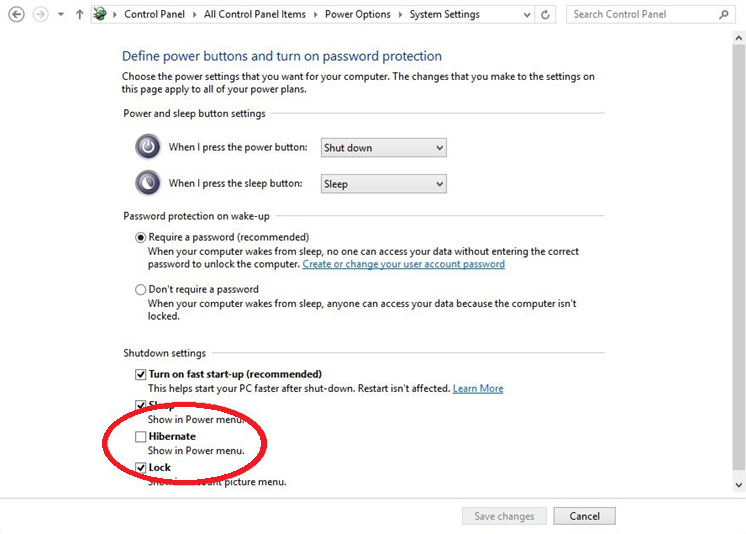 Otherwise, you can also open Power Options by typing Power Options from the Start menu. Step 2: From the left panel, pick the option called Choose what the power buttons do. Step 4: Now, scroll down and take a look at the Hibernate box whether the checkbox is ticked or not. If it is not ticked then hit the checkbox of Hibernate and make sure that you save the setting. Step 5: Once you’re done with saving the settings, you will see the new option Hibernate right from your Power menu. Step 1: Initially, press Windows + X right from your keyboard to open the Power Menu and choose Command Prompt. Step 2: Type command powercfg/h ON so as to enable the Hibernate mode or type powercfg/off to disable the Hibernate mode. Step 3: Now, manage settings for Hibernate, click Windows + X right on your keyboard and select Power options. Step 4: Under the Power options, just hit on the High-Performance that favors the performance of your device but, may use more energy. Step5: Then, click on the Change the Plan Settings and pick Change Advanced Power Settings. Step5: In the Power Options window, scroll down and under Sleep, find the option Hibernate after. Select the time that you ‘0’ perform hibernate after a certain period of time. Save the setting by clicking OK.
That’s it! This way you can activate the hibernate mode on your Windows 10 device. These are the different ways to activate or enable or Turn ON the Hibernate Mode on your Windows 10/8/7 devices. 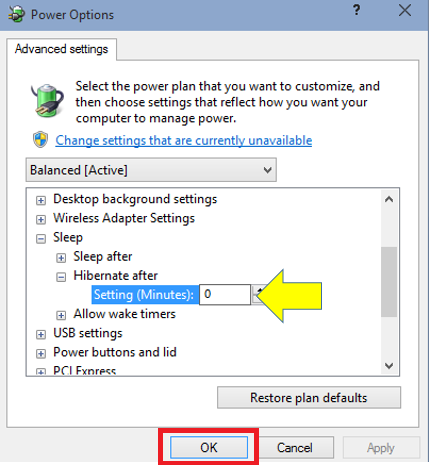 Hope this tutorial guides you in the best way to activate the Hibernate mode on your Windows device so that you it could be very much beneficial that you can save the battery life of your device in a great manner. The internet has become the fundamental use for many of the users owning laptops and desktops in modern time. While online, you wish to know that your web browser is speedy, reliable, and has a some additional features to make the browsing experience simple and quicker. People often look for the best browser that can help them finish their task with much ease in a faster way. As we all know, the software giant, Microsoft has released a new operating system called Windows 10 through which the company has made the courageous move of leaving behind its perpetual browser of note, Internet Explorer, and replaced it with a brand new creation called “Edge”. Microsoft’s Windows 10 has come up with a new web browser, Edge, to replace the conventional Internet Explorer. Most of the Windows 10 users who had upgraded their device with the new OS will also get a new default web browser – Edge. But is Edge really be the best web browser than Internet Explorer, Google Chrome, Firefox, or Opera? Whatever the browser might be, the significant trait that every browser must hold is the performance. A web browser needs to be pretty much faster so that the user can get best browsing experience. 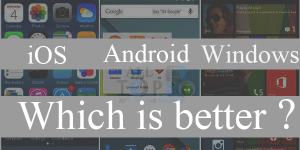 So, let us check out which is the best web browser that best suits the Windows 10 OS. We have gone through the popular offerings through their paces to discern which is the best browser for Windows including Microsoft Edge. In addition to the regular browsers like Google Chrome, Internet Explorer, Mozilla Firefox, and Opera, there are many other bounteous new browsers that bring a new perspective. To spot you the best browsing experience we’ve come up with a list of best browsers for Windows 10 PC users. Windows 10 is the latest operating system released by the tech giant last year. For the new OS, the company has introduced a new web browser called “Edge”. The Microsoft Edge is developed with most advanced features for annotating web pages, generating a reading list and integrates with Windows Cortana, which is a new digital assistant from Microsoft. The new browser has a screen-wide universal search bar for web addresses and queries. From the browser, you will be able to promptly mark up web pages with different annotations. Edge has highlighting tools that allow you draw shapes using the mouse and stylus on touch-enabled devices. Cortana, new digital assistant of Windows 10 has also been merged into Edge browser. Most of the time, web pages load up quickly without any hassle. It is very important that the performance of a web browser must be pretty good and the new Microsoft Edge for the Windows 10 shows such performance as it can be considered as the fast web browser for the Windows 10 users. The web browser Edge itself is not a branch or fork of Internet Explorer. Microsoft Edge browser is more than just an optimized web browser. The unique feature of Edge is integrating with Cortana which is the Microsoft’s digital assistant and a tough competitor to Apple’s Siri and Google Now. Most of the Windows users just need to know if the web browser on their device will work fine with the web pages they use every day. To ascertain just how swiftly and smoothly, Microsoft Edge, and other web browsers, will work on Windows 10, I have compiled a list of the best web browsers for Windows 10 that works pretty well on your device. Battling it out at the peak of the browsing ranks is Google Chrome and it is mostly used for the people who are plugged into the Google ecosystem which is quite solely a pleasure to view. Google Chrome browser offers a cross-platform browsing experience that is primary in terms of syncing data but to the ordinary Windows PC user, it won’t matter that this alternative is available. Google Chrome comes with a wide collection of apps and add-ons from the Chrome Store that add a substantial significance to the browsing experience and the area in which offers excellent performance is that it has high HTML5 loading speed that is at a higher level than any other Windows browser. Chrome has a clean layout, with a universal address bar at the top, and any new tabs located just above. 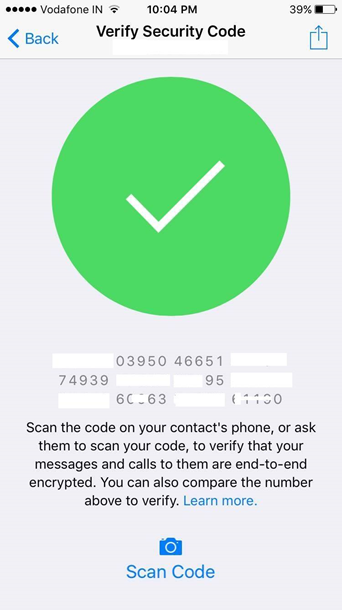 On the top right corner of the screen, there is a three lines icon where you can find various options including settings, ‘incognito’ private browsing mode. There is a More Tools section that provides you access to the Chrome web store where you can install a wide range of plug-ins, extensions, and themes. Chrome has a plenty of apps available in the store such as Google Docs, Hangouts, and Drive that increases your productivity. Chrome has an effective voice search feature, where saying the words ‘Ok Google’ on the homepage will quickly enable you to deliver your search words. Google Chrome endures to culminate into an outstanding modern browser experience. 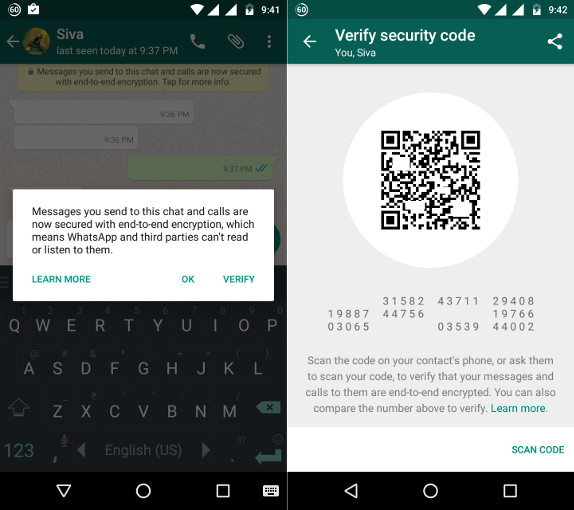 With the abundance of apps and features available only being matched by its pace and neat layout, it seems set to be the benchmark for a while to develop. Mozilla Firefox one of the most popular web browsers on the planet due to its amazing features like add-ons, constant updates and it offers high performance across all platforms. For many people, Firefox was probably the first alternative browser they ever installed, including myself. Currently, Firefox browser ranked globally as the third most popular, after the IE and Chrome. Tabbed browsing is at its core and the add-ons is where Firefox actually comes into its own by endeavoring all sorts of ways to tinker with the browsing experience. One of the abilities that have long been asserted by Firefox admirers is the amount of customizable options which are accessible to the user. Firefox offers the ability to change default search engines and has a much extensive array of alternatives available that include Bing, Google, DuckDuckGo, Youtube, Amazon, and a plenty of anonymous options. It allows you to install themes to change the appearance of the browser, or add a whole host of productivity and security features. 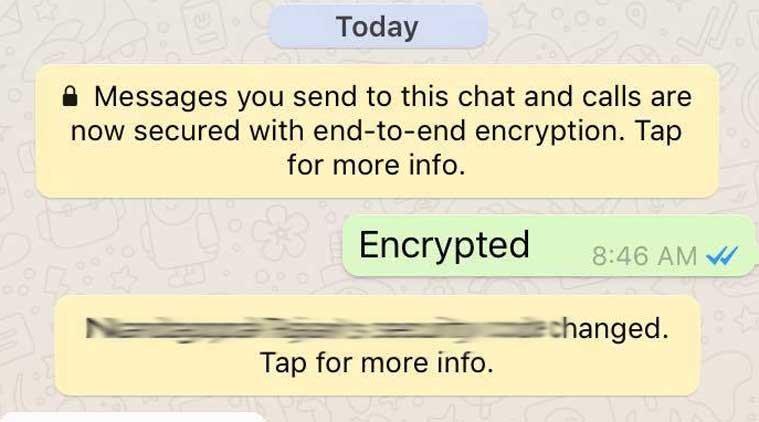 It has standard security features such as private browsing, encrypted password storage, Phishing and Malware site warnings along with the optional Do Not Track, and more advanced Tracking Protection, to prevent ad servers watching your browsing customs. Another best feature is Hello, which is a Skype alternative that lets you video call friends without the need of an account. We’ve always had a tender spot for Firefox, but preceding versions have failed due to sluggish performance. The last few iterations though have shown vast improvements, and this one, in specific, is quite impressive. Internet Explorer 11 was bestowed the most adopted PC browser in the world, driving over from the past incumbent IE8. Till the end of the year 2014, Internet Explorer 11 was the most used web browser for the PC users. Once you launch the browser, you can see a short URL bar at the top left of the screen wherein the web content is provided the huge bulk of space. It is pretty much simple to import your bookmarks from other browsers, such as Google Chrome, just by clicking on the Star icon. It has numerous add-ons available that include Flash and Google Maps. Privacy is a burning issue at the moment, and IE11 has some beneficial built-in features to help you continue incognito online. IE11 has a private browsing mode called InPrivate that doesn’t store web history or cookies. Smartscreen is another security feature that analyzes the websites you visit so as to warn you if they feature malware for data. It is a handy feature of this browser. This is a stripped down version of Internet Explorer which is compact and neat yet it is lagged behind Google Chrome, Opera and Firefox. When compared with other browsers, it is somewhat mid-level in terms of performance, but fair to use none the less.With a few pinches and folds over preceding versions, Internet Explorer is in fine condition now with a precise design, robust performance, and ever enhancing security features. The current version of Opera looks very modern. Once after opening up the Opera browser, it reveals a clean, inadequate interface with a solitary address bar at the top, open tabs above, and the Opera menu icon in the top left of the corner. This browser is quite customizable with several extensions and themes store that features offerings from Evernote, Pocket, Amazon along with other useful security plug-ins. It has a speed dial screen that lists your most often visited sites. Opera Turbo is an intriguing concept that is intended to enhance internet performance when you’re on a slow connection by passing the connection over the Opera servers in which pictures and web pages are compressed. Bookmarks can be imported easily from other browsers and you can even share a bookmark folder with friends. Opera might appear a little like Chrome-lite but the browser is fast, even on sluggish connections as it provides the users to operate the browser in Turbo mode. It has a lot to offer those who prefer not to remain completely in the Google universe. Dooble is a security-conscious web browser that is powerful but also restrictive. If you’re looking for a web browser that offers much security and privacy, then Dooble is an independent browser which is of exceptional benefit. This browser is highly conscious about security rather than the fastest performance and doesn’t offer the flashiest interface. While most modern browsers provide a private or incognito mode of browsing, Dooble is introduced by default. Navigation is speedy, which is the functionality of the web browser and it can be quite impressive. Dooble’s safety-first approach is praiseworthy, but the version of the web browser you’re able to access is operating to be too embarrassed by this browser for most users. You have seen all the best web browsers that are supported on Windows Operating system. The best part about all the above-reviewed browsers is that are all free, and you can obviously use more than one concurrently on your PC or Laptop. So, what’s the best browser among all? Undoubtedly, Chrome is the best browser so far that wins over other 4 browsers. Microsoft has done well to build a new browser, Edge that works smooth on your device comprising of additional features which are genuinely interesting to use. However, there are a few little kinks to be worked out in the performance. The other browser, IE 11 is as common as the browser on your window which is the quiet slowest and least standard of the browsers. If you have any experiences by using these web browsers. Let us know your feedback in below comments. Windows 10 is the trending OS now that is released by Microsoft. 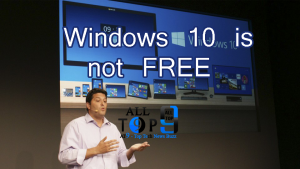 Recently they have updated that Windows 10 is free for the users of Windows 7 and Windows 8.1. And also we got some reviews from the users. There are few Errors in the Windows 10 that are out in the Technical Preview 2. One of the big news that came under the latest Microsoft press event was that Windows 10 is free for users of Windows 7 and Windows 8.1. However, today we learned that the offer does not apply to business users, i.e., those with the Enterprise version of the operating system. This was announced by CEO Microsoft Security, Jim Alkove by an entry in the official company blog. There the executive clarified that users who require high-grade features in Windows 10 should pay for the Enterprise version, which will offer support for Internet Explorer web browser, the ability to centrally manage updates on a group of PC and much more. This will not affect small businesses that use Windows 10 on a computer bounded set as the Enterprise version is designed for large offices that need to build much more than a home network segment that definitely has the financial means to renew your license with Microsoft.